Handbook of Management Games and Simulations (Hardback): Sixth Edition. By Chris Elgood. Provides detailed answers to these questions and others. What kinds of games are there? How do they compare with other methods of learning? Where can I find the most suitable games for the training objectives I have in mind. 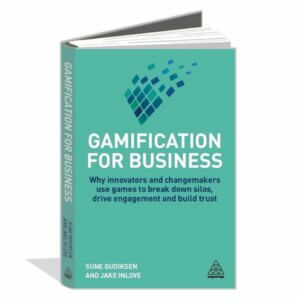 The characteristics and applications of management games are examined in this book, comprising some 300 games and simulations, with each one described in terms of its target group and subject areas. Entries also contain administrative data, including a number of players, teams and time required. 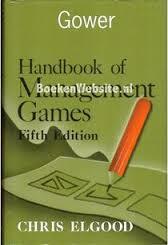 Handbook of Management Games and Simulations (Hardback): Sixth Edition. By Chris Elgood. What kinds of games are there? How do they compare with other methods of learning? Where can I find the most suitable games for the training objectives I have in mind. The Handbook of Management Games and Simulations provides detailed answers to these questions and others. Part 1 of the Handbook examines the characteristics and applications of different types of game.It explains how they promote learning and the circumstances for which they are best suited. Part 2 comprise a detailed directory of some 300 games and simulation. each one is described in terms of its target group, subject area, nature and purpose, and the means by which the outcome is established and made known. The entries also contain administrative data including the number of players, the number of teams and the time required. Several indexes enable the reader to locate precisely those games that would be relevant for their own needs.